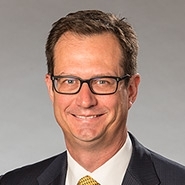 According to John O'Neal, partner at Quarles & Brady, "It has created a number of lawyers who focus on the processing of lawsuits rather than actual adjudication and truth-finding." While the reduction in the number of cases going to trail has impacted the legal professional, experts say the impact on the businesses facing lawsuits is minimal. "The legal system has been and will remain the system for resolving disputes and fewer trials is not going to change this fact," O'Neal says.